Mega Drive can sound great, you just need some decent tools... there's lot of unfinished tunes, but what are finished, aren't bad at all. 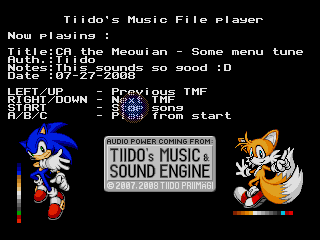 Tunes are mostly bad and the player is _very_ basic ... but at least something new for the mega drive. Nice chipdisk Tiido!!! MD rules! page created in 0.014392 seconds with 15 queries.